I have to admit, it’s always fun to win. 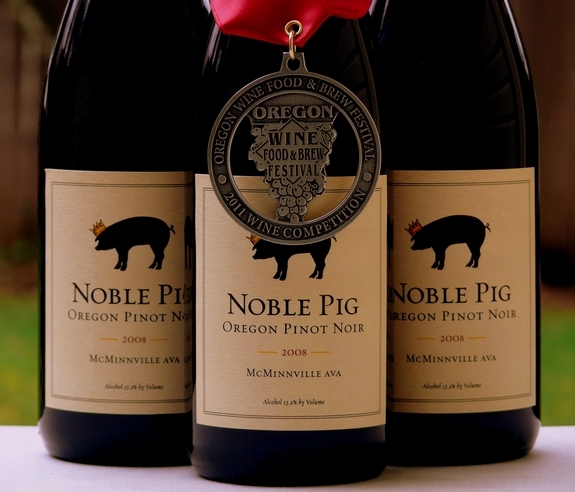 We are honored to have received the Silver Medal for our 2008 Pinot Noir at last weekends Oregon Wine, Food & Brew Festival. Thank you to everyone who came out and said hi and took home some of our wonderful wines. We truly appreciate your continued support with our small, family business. Congratulations! I’m looking forward to my first tasting of your wines when I have dinner this month at the Blackfish in Lincoln City! Good work! 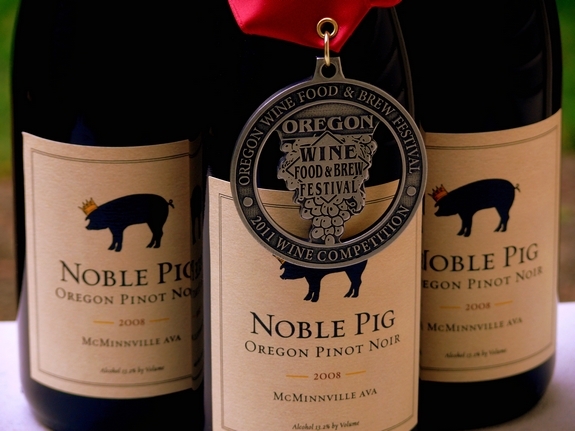 Is this Noble Pig’s first competition? Congratulations! I don’t think I can find your wine here in Maine but we are planning a trip to OR in Sept and sure hope we can stop by and say hello and buy some wine. I really enjoy your blog, it’s lovely and inspiring. Your Pinot Noir is seriously awesome and so is your Pinot Gris. Congrats! That is so cool!!! Congratulations! Congratulations! I know I love it! Congratulations, Cathy! I am waiting for Maryland to overturn the dumb law prohibiting shipping wine to my home! I would love to try your wines! Yay! Congrats Cathy! It’s delicious! Congratulations! Wish I lived closer, I bet the Festival was fun! Congratulations! So excited for you. I don’t live in a state where I can have it shipped (boo! ), so, we’ll just have to plan a trip! It is wonderful to see this all unfolding for you. wow. look how far you’ve come. amazing. congrats to you. you deserve it!